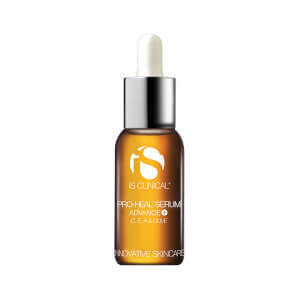 iS Clinical Active Serum reduces not only the appearance of fine lines and wrinkles, but it also evens pigmentation and smooths and controls acne. It actually targets the skin cells themselves, allowing repair to happen on a cellular level. Ideal for aging, uneven and acne-prone skin. Apply either to entire face or as a spot treatment morning and/or night. does a fantastic job of keeping pimples away and giving my skin a better appearance in general. remember that you only need one dropper full of the serum to do your whole face as not to waste the stuff. have been using this for years and when i run out and can't order in time i notice a difference as in i break out and there really is no suitable comparable product i've found. Have been using this serum for quite some time and have noticed less breakouts and am very satisfied with the appearance of the my skin. I'm sensitive to most products, and this stuff works great for me. Even though it has alcohol in it, it is not drying or irritating in the least. Love it. I will continue to buy! I've used this in the past and recently repurchased this. I have no idea why I stopped using this. It clears up active acne as well as stubborn congestion. The cooling sensation is also nice! I use this primarily in the morning. I have been using this for almost 10yrs & cannot live without it. It brightens my complexion & keeps it clear. I use it along with the ProHeal serum. I notice a big difference when I am using the iS Clinical line. This special little guy is so amazing! My number one. Gives a cold feeling when first applied, which is addicting, and helps keep unwanted blemishes at bay. I personally like this product better than any retinol product. 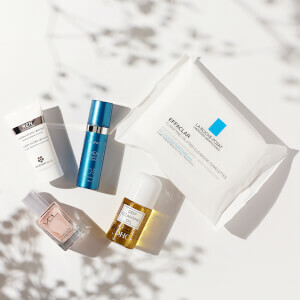 I have large pores that get clogged SOOOO easy, so I must stick with serums. Love this product. It's pricey, but you get what you pay for. I absolutely LOVE this product! I use this product every day and cannot live without it - t keeps my skin clear and prevents any breakout. 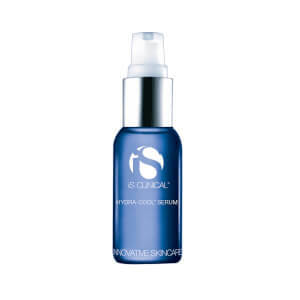 I love this serum. A little too cool when I put it on my face but my skin is smoother and the acne seems to be disappearing slowly yet noticeably. The best serum i've ever used!! takes care of my acne and dark spots. love it!! I'm almost makeup free thanks to this stuff. I have my acne under control, and my skin is so happy.